The financial sector is a complicated area, benefits and propositions can be hard to nail down. Couple that with B2B and getting the right tone and approach is not easy. 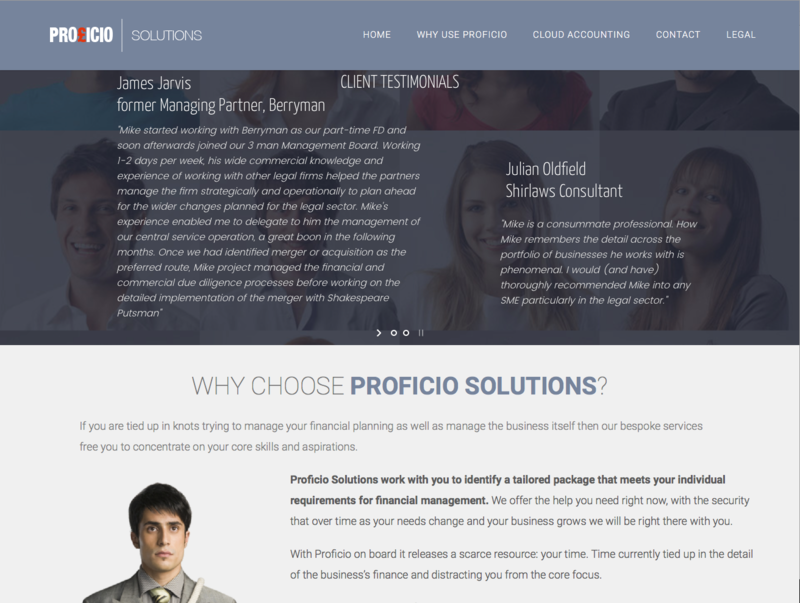 And so we were a little hesitant at first that we could succinctly capture the consultancy offering of Proficio Financial Solutions, especially as Proficio asked to write the copy. 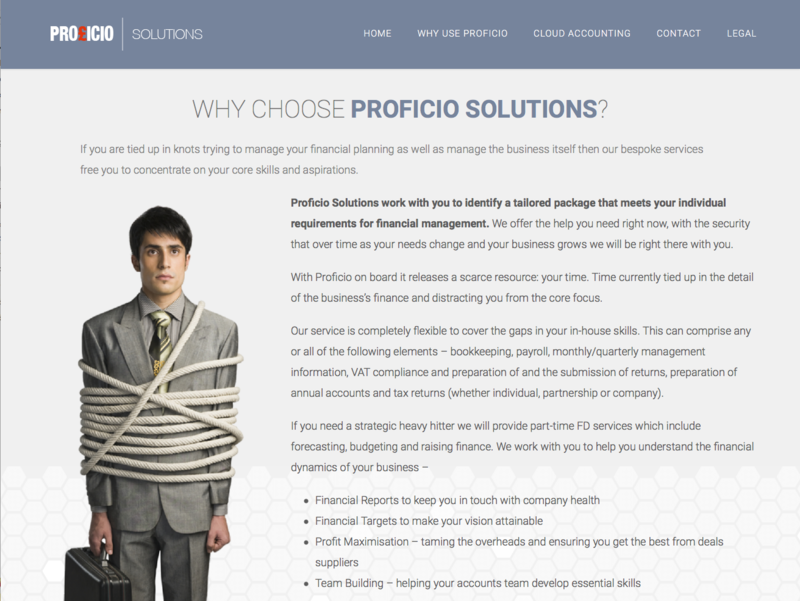 Proficio’s service is deceptive: at one end it provides bookkeeping, year end accounts, tax returns and company secretarial matters. 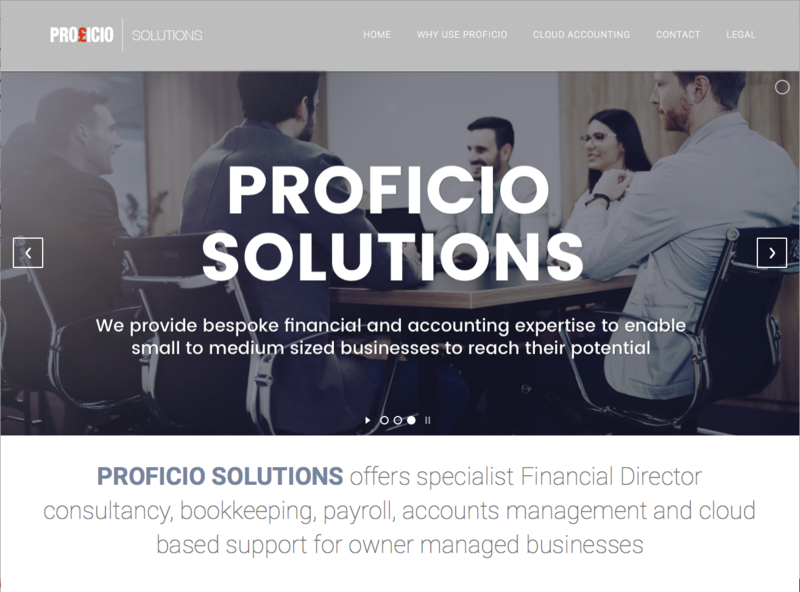 At the other they provide sophisticated financial management, often enabling SME’s to concentrate on the core business knowing the financial well-being the company is in good hands. The choice of WordPress to build this site was easy. WordPress is open source software. Hundreds of developers maintain its code and ensure it is as up to date as possible, as secure as possible and as flexible as possible. What this means to us as designers is that WordPress does the essential and complex ground works while we create whatever we want on its rock solid foundations. The WordPress Content management System (CMS) means no matter what complex design sits on top it is always easy for the client to update the site in very little time. Further it is pretty hard to break things as the previous version is always available as a back-up, as in fact are all revisions. The CMS looks good and can be structured to allow controlled access for extra safety.